This post was originally published on August 12, 2014- shortly after the tragic passing of Robin Williams. I had used that time and opportunity to share my own personal story as this post as initially part of a series to introduce myself to my readers. Do you know someone who has major depression? Or maybe you are the one with major depression? 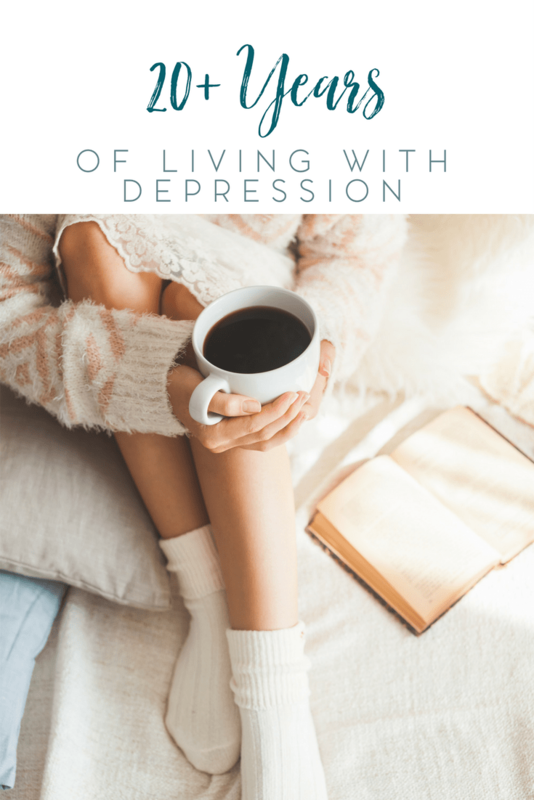 Whatever the case may be, I invite you in today to talk about major depression. Mental health issues still face so much stigma and judgement despite increased media coverage. But that’s just it… it may increased coverage but until you experience it firsthand; you may still be prone to judging or misunderstanding someone with a mental illness. And since you’re at this blog right now, you’ve met someone with a mental illness. I’ll get into my story briefly, and I am humbled to share with you my story of learning to live with major depression. While it may seem like it, I’m not trying to capitalize on the tragic passing of Robin Williams. He was an amazing comedian, gifted actor, and will always remain one of my favorites. My particular favorite role of his was Genie, from Aladdin. I think that underlying circumstances surrounding his death are just as tragic, and that is what I chose to focus on for this post. He admitted to having issues with alcohol in the past, and also with manic (or bipolar) depression. And can you imagine that? Someone who brought such great joy and smiles to so many, battling an unseen mental health issue. I want to try and be as honest and open as I possibly can on this blog without edging into the realm of too much information. That all being said, I want to talk about my own issues with mental health. I was initially diagnosed with clinical depression (now known as major depression or unipolar depression) when I was 14. My psychiatrist prescribed Prozac and I also went to therapy every week. I suppose, looking back on it now, I can trace the roots of my depression. My paternal grandfather passed away when I was 8. I was very close to him and, as my therapist later told me, that childhood trauma lingered untouched. My parents separated when I was 10. I was given the choice to stay with my dad and all of my family in California, or move with my mom to Washington D.C. I chose to move with my mom, flying back to California for Christmas and Summer vacation. That also had a great deal to do with my depression. I stayed on medication until I was 15 and stopped taking it due to pregnancy. I didn’t take it afterwards though I probably should have given everything that was going on in my life at the time. Having a premature baby is an adventure within itself and something that I’ll really get into another time. Still, I’m sure that this life event also had a great impact on my mental health. My relationship with my son’s father was also tumultuous at times. Yes, I realize that we were teenagers but I went through quite a bit. I don’t wish to speak badly of people who aren’t around to defend themselves so I won’t go into great detail. However, I can say that my self image and self esteem suffered greatly while we were together. I went on Celexa shortly after my middle child was diagnosed with Autism. I also started therapy again, finding that to be more beneficial than just taking a pill. But, it was around two years after her diagnosis that I stopped taking my medication and stopped seeing my therapist. I had an epiphany, of sorts, that I didn’t want to be dependent on a pill or a therapist. I wanted to be in control of my mental health and I wanted to call the shots. I’m not trying to say that people shouldn’t take medication or see a therapist, I’m just relating what worked for me. And for me it was a mind over matter sort of issue. I read books, I started to mediate, and I prayed. I wasn’t going to church at that time, but I still would take the time to pray daily. I also started to keep a journal to write down whatever feelings I was dealing with that day. So, in a sense, I had another therapist. I was also smoking, and was smoking on and off for about eight years. But, after I found I was pregnant again, I stopped smoking and haven’t touched another cigarette since. It’s been ten years (as of 2016) since I stopped taking medication for my depression. There have been a few rough patches but for the most part, I’ve managed to hold it together. I’ve started to attend church again, I have a few hobbies outside of blogging, and I also find that blogging has been fairly therapeutic. Even if I’m not blogging about mental health in particular, just being able to connect with others in some form or another, has helped. Finding a support network of fellow individuals who’s lives are affected by autism has also helped. And of course, I can’t discount that I have a very supportive and loving relationship. I have a better sense of self esteem than I’ve had in years and my self-image is finally where it should be. I do fully realize that I could relapse at any moment, if I’m not careful, so I’m trying to do what I can to safeguard against it. I think having that awareness has also helped me keep my depression in check. I’m also not naive enough to believe that I’m cured. It’s still there, I know it’s still there. But I have won the war to this point. Having a support network and people to talk to, whether it be in person or online, has done wonders for me.I’m an introvert by nature and I dislike crowded places. Socializing is not always a fun experience for me and I prefer my own small circle of friends. That’s not to say that I’m anti-social, just that I prefer to stay away from those situations when I can. I’ll socialize and I can be a social butterfly after I feel comfortable. But, I admit, afterwards I need some time alone to recharge. The church that I’m currently attending is a small one with a very close knit congregation. And that’s what I was hoping to find. I think, in our lives, we’ve all known someone with a mental health issue. Whether that’s a family member, close friend, co-worker, or maybe even yourself. Mental health issues don’t discriminate. They touch everyone, in some way or another. And when they’re left untreated, it can get ugly. Seek help and don’t be afraid to admit that you need help. Talk about your mental health issues because you never know if you could help someone else in the process. You may be suffering from major depression if some of the many symptoms last for at least two weeks. Some of these symptoms include thoughts of death or suicide, sleeping too much (or not enough), lethargy, difficulty concentrating, appetite fluctuations and withdrawal from life. You may have feelings of extreme anger, become discouraged, guilty or even delusional. Antidepressants are often used to fight symptoms of major depression, but more often than not, the medication should be used in conjunction with psychotherapy sessions rather than alone. Keep in mind that antidepressants used to treat young adults sometimes trigger suicidal thoughts and behavior, so they should be used with extreme caution and under the supervision of a health care provider. If psychotic symptoms are part of your bout with major depression, lithium and thyroid supplements might be prescribed to further promote the effectiveness of antidepressant medications. If symptoms of major depression, especially thoughts of suicide, aren’t relieved by any of these methods, a physician might suggest ECT (Electroconvulsive therapy). This type of treatment uses electric current to cause a seizure and relieve scattered thoughts. Doctors may also recommend a less harsh form of treatment than ECT, called TMS (Transcranial Magnetic Stimulation). This method alters brain function, but with fewer side effects than ECT. Light therapy has also been used effectively to combat symptoms of major depression. Winter months that offer a small amount of sunlight are especially difficult for major depression patients and light therapy can help them regain normal sleeping habits, lessening that symptom of major depression. Sufferers of major depression symptoms should keep in mind that a healthy lifestyle also helps them feel better and improves their thought processes. Alcohol and drugs should be avoided as should fatty foods. Eating healthy, balanced meals and exercising on a daily basis can also go a long way in relieving symptoms of major depression. Alternative methods of treating symptoms of major depression include herbal remedies, acupuncture and meditation techniques. Be sure and tell your physician if you’re using any type of natural or alternative methods for treating your major depression as some of these methods might have harmful side effects if used with prescription antidepressants. No one knows exactly what causes major depression, but one theory is that chemical imbalances in the brain could trigger symptoms. Hereditary, traumatic or sad events in one’s life could also be causes of major depression. The good news is that major depression can usually be treated with a good outcome. There’s no reason to suffer from these recurring episodes, so research your options and get some relief. Find a treatment option, or options, that work for you. 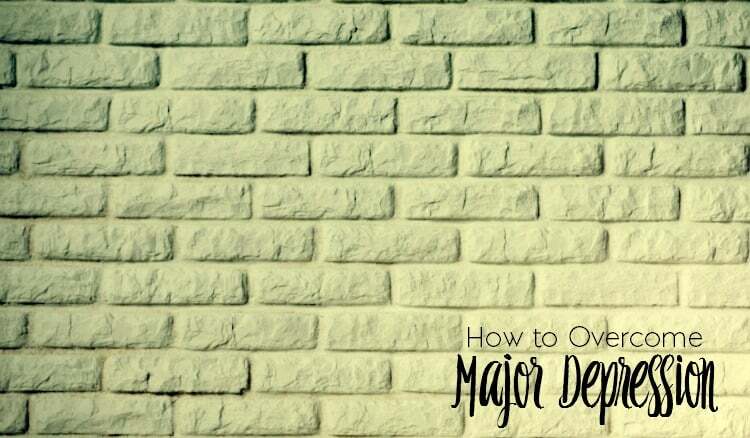 Overcoming major depression is possible- I should know. Yes, there are definitely times that I can feel it lurking and I know that I could relapse. But I’m also trying to maintain a more positive outlook and focus on what’s going good in my life. This post is hitting home a little too much today. With Robin Williams passing, my family has taken a look at depression and the possible result. Thank you for sharing your story. Thank you for sharing your story and I know that it couldn’t have been easy for you. Depression is a real thing and I have seen what it can do to others. I am glad to hear that you’re taking matters into your own hands and working to control the uncontrollable, so to speak. When I initially started the post, I was going to keep it more clinical but then that seemed way too impersonal. Especially for a personal blog. And yes, it can get very ugly when it’s not treated. Thank you so much for sharing your story. Depression is something that so many struggle with and yet it is pushed into the “kept quiet” category. More people should be so open about it. I think that your post might just help someone who feels like they are going it alone. RIP Robin Williams. So sad. That is amazing that you are able to do without the medication. Many others are a mess without it. This is very timely, as my husband and I just watched the Rich Mullins movie last night. I had no idea he’d struggled with depression, and many of the things his character said really resonated with me. Like you, I dealt with divorced parents and teen pregnancy. Some days are fine, others are really a struggle. Thank you for talking about it. Hi Kori, what a wonderful post! Thank you for sharing, it is a hard road sometimes. Without my faith, and trusting the Lord, I would never get through a day! Hi Kathy, thank you for reading 🙂 It definitely can get rough, and I don’t think that any one person is ever equipped to do it alone. We have to take our mental health very seriously. Thank you for this post. God bless you. Absolutely. Whole body care is essential, and especially taking care of our mental health. Thanks for sharing your story. I’m so sad about Robin Williams, and I just hope that this will be the catalyst that finally brings mental health into the spotlight and allows people to ask for – and receive – help. The loss of Robin is just heartbreaking and I can’t still believe that we lost such a great legend. I hope so too. Yes, it’s tragic but hopefully people will take it seriously when someone says they feel sad or suicidal. 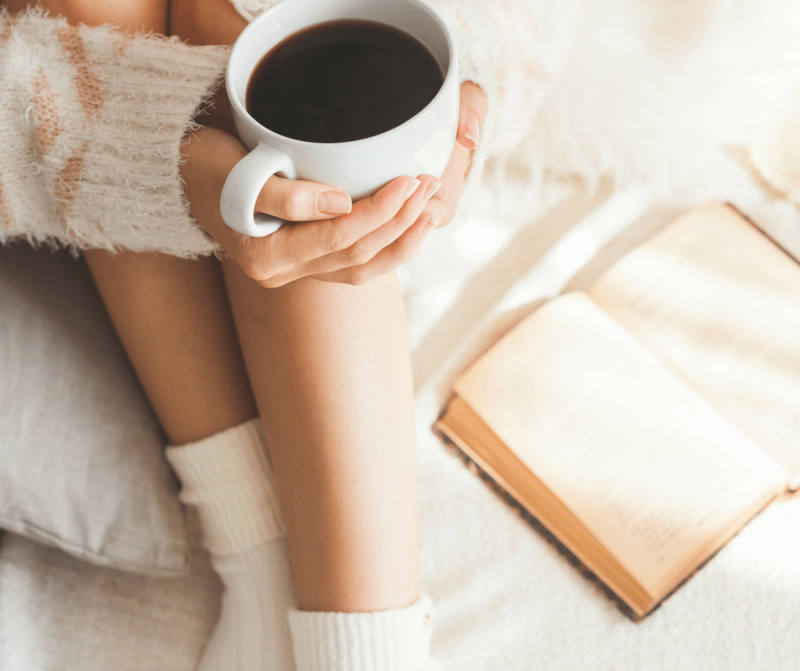 I love how you shared healthy tools to keep yourself healthy: blogging, journaling, seeking supportive relationships, nurturing your self-confidence, and speaking openly about your struggles. I love it. Thank you, thank you, thank you! Thank you for reading 🙂 I figured it would be useful, especially since I neglected to add links that might help. Thank you. I don’t talk about this too readily but, it was something I think needed to be shared. This is such an important post as we mourn the death of Robin Williams due to his suffering from depression. Everyone should know what signs to look for. Yes, absolutely. It’s a shame that it takes the death of a celebrity, but at least it’s bringing some much needed awareness. THis is an important post. Good for you for sharing your story! 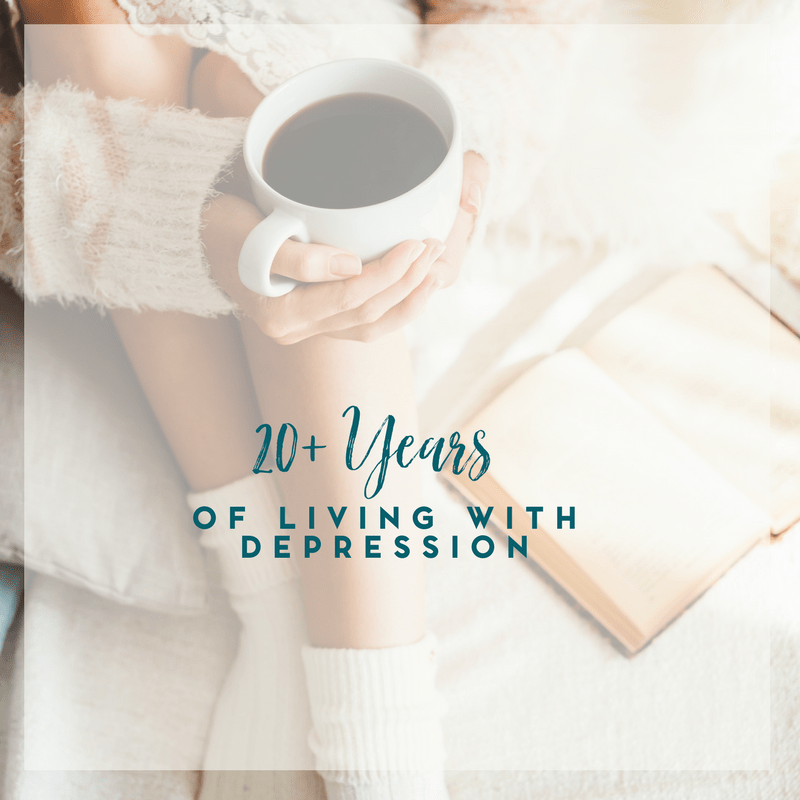 Thank you for reading 🙂 It was something that I was considering posting on the blog closer to Mental Health Awareness Month, but with the untimely passing of Robin, it seemed like the right time to do it now. Thank you for sharing your story! I think more mental health services should be available for all communities. I also think my profession (occupational therapy) should greatly increase their role in mental health! Likie the others I too say what a powerful and honest post. I too appreciate your sharing this with us. Stopping by your blog has been a real learning experience for me in the subjects of depression and autism. Have a blessed day ahead dear Kori. We never know who is struggling with themselves. Thanks for your story! Nope, even the strongest of individuals could be fighting the darkest of battles. Thanks for sharing your story. The only person who knows the effects of depression is the person who suffers from it. I wish people who be more understanding and less judgmental. Yeah, it’s really sad that there’s still such a stigma attached to depression and mental health in general. It’s not contagious, helping someone with a mental health issue isn’t going to infect you.. it’s too bad that people can’t understand that. As someone who has battled depression and has even attempted suicide, I can say this is a mental health that is very hard to overcome! But can be done! Thank you for caring! Talking about one’s own mental health is never an easy task, though with the recent Robin Williams incident; I hope people understand how serious it is. Yes. I want to remember him for his comedy and acting, but his death (unfortunately) is also bring much needed awareness to mental health issues. That is awesome you can go with out meds. Its sounds like you have a firm grasp on yourself and what you, your mind needs to feel settled. Probably took a lot out of you to write this post. I hope it was freeing and helps you deal with all that is haunting you. Yes, absolutely. Writing this was fairly cathartic. Wow, thank you for sharing. I’m so glad more light has been shed on this topic this past week, it is VERY important. Thank you for posting this. This is such a great post 🙂 More people need to open up about any issues they have. 🙂 Thank you and I agree. Once people are comfortable with it, they definitely should open up about it. You never know who might be going though a similar struggle. I’m so sorry for your family’s loss 🙁 I can’t even imagine how that must feel. When I was working at the high school, there was a trend in cutting among the teenage girls there, and they were getting put on Celexa left and right. I was so concerned … I still am so concerned for those girls. I don’t know if they were acting trendy to fit in w/their friends, or if they really needed help. It’s such a tough call with the teens. I look up to care workers who really have a knack for knowing the right thing to do. Yes. I’m not one for medicating, regardless of the underlying issue, but when it’s necessary, I certainly understand. I would just hope that it is absolutely necessary and not just a quick fix.. if that makes sense? I think you hit on something that is truly important, and even more important than any medication or therapy can provide. You need to have a support system with any mental illness, whether your own or that of someone you care for. Mental illness can be so hard to deal with but having someone to talk to and work through things with can make a huge difference. Yes. I hope that, with the untimely passing of Robin Williams, the public at large will be more aware and accepting of mental health issues. What a revealing post to share with us! It boggles my mind how someone who was fighting addiction and depression could be a comic genius like he was. That someone could make millions of people laugh, and deep down inside, he felt tormented. Very sad. I appreciate you sharing your story, and making sure we all understand that it does not discriminate.. i know a family that this affects from the parents through the kids.. they are really great friends, but there are issues and we do talk about them, and they do seek help..
It’s important to acknowledge it, to talk about it and to seek help. So, it definitely sounds like they’re in the right direction. Great and honest post Kori. I have suffered from depression for years and have had to stay on meds. I did counseling at church and it really helped. Having supportive friends has been good too. Being the real me probably has been the best for me. Losing my dad was really hard for me. I lost my mom to Alzheimers and I know she suffered from Bi Polar and did not admit to it. So sad. I am in a good place right now. So sad to hear about Robin Williams. I agree with the others. What a wonderfully honest post! I think that the more people are open and talk about mental health, the better it’ll be for those suffering. Thank you so much. And yes, the more people talk the better it will be. Just talking about it can also be therapeutic. Thank you for sharing. I stopped taking antidepressants about 8 or 9 years ago as well. I am managing very well. I think I get a little sad every once in a while but I’ve learned coping methods to help me stop the negative talk before it really gets going. Some people can only manage it with medication. I am so glad I am not that bad off but I don’t encourage anyone to ever go off of it without doctor’s advice and without a plan for what they are going to do instead of medication. Yeah, there are days that I get down but I’ve also learned coping strategies to help me. And I don’t think that anyone should stop taking medication without consulting with their doctor and having a plan in place. There’s absolutely no shame in being on medication if that helps. Thank you for such a honest post about your struggle with depression. It must have been hard to write. I think we need to raise awareness about depression so people can recognize the signs. My daughter is also autistic- that in itself can be a challenging thing. I am so thankful that you shared your story with us. I am sure that it will help others who are struggling. Than k you for sharing this. More people need to be open about this. I am bipolar and have been battling depression for a long time. I have been on my meds for years now. I make sure to take them daily, as things get out of hand if I don’t. Lucky I have a supportive husband and friends. It’s very brave of you to share your story in this honest post. Hopefully it’ll help a lot of people! Thanks for sharing your story, it’s very brave of you. I’m sure you have now paved the way for another person to share theirs. If this post has touched just one person, then I will feel accomplished. It wasn’t easy to write, but it was very cathartic. I applaud you for putting yourself out there for the good of other people! It’s so sad that he chose to end his own life — some one who made others laugh for a living. I noticed his wife also recently said that he was struggling with Parkinson’s Disease. I can’t even imagine how he felt inside. It really is. I can’t even imagine the struggle he must have felt. Thank you for sharing your story with us. Mental health issues can and will affect many of us or someone we love, it is something that a lot of us don’t talk about but should. Having a strong support system can really help you and having hobbies, doing things you enjoy. I’m happy to hear that you’ve been medication free for the past 8 years. Kudos to you and I’m sure it’s been a struggle but you did it!